I wanted to celebrate Earth Day in style, so a special cupcake had to be created. I’d seen cupcakes baked in terra cotta pots but that seemed too complicated. So I got a few small decorative pots at a craft store and decorated away. To start I needed a firm cupcake to hold up to the decorations. I found a dense cupcake recipe and used the Neat egg as a sturdy egg replacer. (It also gave me a chance to try the Neat egg.) Then I added water and flour for high altitude. Next, I reduced baking soda for altitude and reduced sugar knowing the toppings would be extra sweet. The last step was to get creative with the decorations. I hope you like my homage to Mother Earth. For Cupcakes: Preheat oven to 350F and line a 12-cupcake pan with paper liners. In a small bowl combine cocoa and boiling water. Stir well and set aside to cool. In another small bowl prepare the Neat egg replacer according to package instructions. 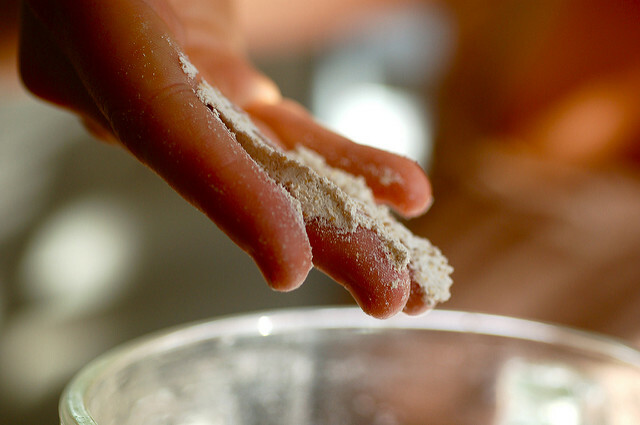 In a separate bowl, whisk together the flour, baking soda, baking powder, and salt. In the bowl of a stand mixer beat together the margarine and sugar until light and fluffy. Add the Neat egg and vanilla and beat for 2 minutes. With the mixer set on low, add the flour mixture alternately with the cocoa mixture, beginning and ending with the flour. After the last flour is mixed in, beat for 1 minute until smooth. Divide the batter evenly among the 12 liners. Bake 22-24 minutes, until a toothpick inserted into the center comes out clean. Transfer to a cooling rack and cool completely. For Frosting: Beat the shortening and margarine together until well combined and fluffy. Add the cocoa powder and beat for 1 minute. Add the powdered sugar, alternating with milk, and beat until fluffy. 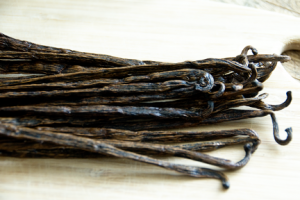 Add the vanilla and beat until incorporated.For Decorations: Place a flat layer of chocolate frosting on a cupcake. Put the crushed chocolate cookies on a plate and dip the cupcake in until frosting is covered. 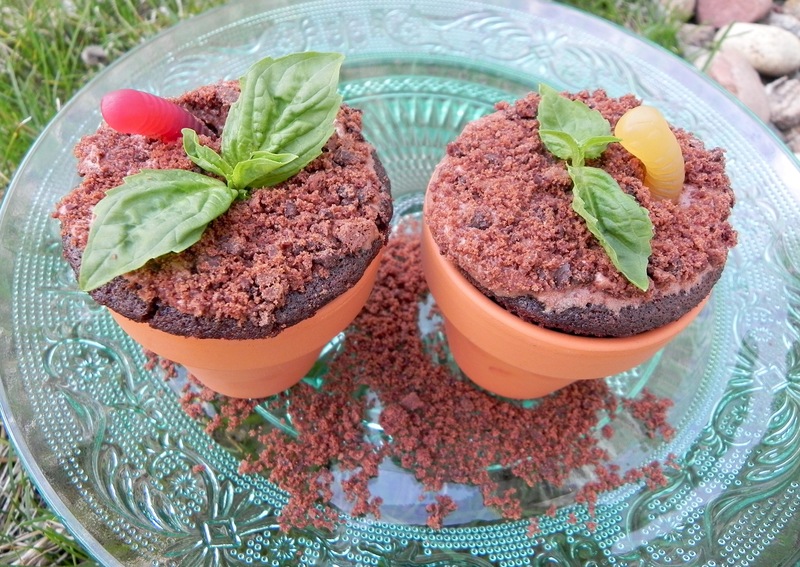 Insert a basil sprig and a gummy worm into the cupcake and put in terra cotta pot. Have you ever wanted to make cookies but didn’t want to deal with pulling cookie sheets in and out of the oven? I was craving cookies but was too lazy to babysit cookie sheets, so I made a pan cookie. It’s basically a cookie in a baking pan that makes one big cookie with less work than baking up a few dozen. It’s instant cookie gratification. There was a recipe that made a version of a pan cookie, but I made a few changes. I didn’t have the pan size called for so I reduced the ingredients to fit in the pan I had. (It’s times like this that make me glad I am a math person.) Then I changed the egg substitute to my new favorite – aquafaba. I also found the amount of salt to be what I deemed a typo – the first try made extraordinarily salty cookies – so I changed it accordingly. I also added flour and reduced baking soda to account for high altitude. After the cookie was done and cooled, I used a star cookie cutter to make pretty cookies. Then I could pretend that I slaved over rolling and cutting dough to make cookies. It’ll be our little secret. Preheat oven to 375 F. Grease an 8 x 8” pan with vegan margarine. In a medium bowl, whisk together flour, baking soda, and salt. In the bowl of an electric mixer, cream together vegan margarine and sugar on low-medium speed until light and fluffy. Add aquafaba, milk, vanilla and peanut butter to sugar mixture and beat well. Slowly add dry flour mixture and beat on low speed until just combined. Using a spatula, fold in chocolate chips until combined. Add batter to prepared pan and smooth out the top. Bake until cookie is lightly browned on the outside, but still slightly under-cooked in the center, for 15-16 minutes. Allow to cool on a wire rack. Here in the Decadent Vegan Baker test kitchen the flour is flying. 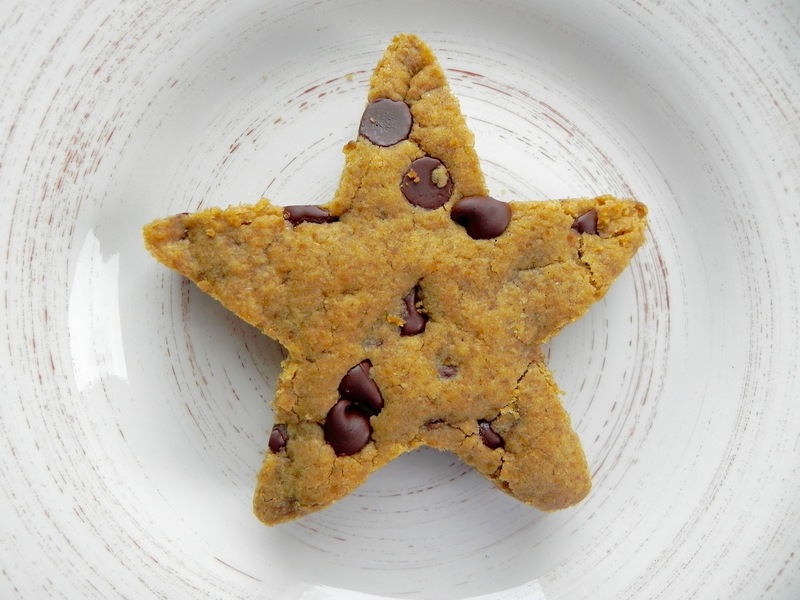 All kinds of flour – chickpea, almond meal, rice flour, amaranth flour – as I try to come up with a vegan, high altitude, and gluten-free baked good with a great texture. I have baked from recipes and discovered that removing gluten can make treats more like tricks. They become gummy and dense or hard and crumbly. Or, worse yet, they don’t ever rise. But a blog post on the Bob’s Red Mill website may have solved some of my problems. When creating a gluten-free flour blend, they recommend that “for an all purpose flour blend use a ratio of 1/3 light flour and 2/3 heavy and/or medium flour.” When I looked back at the recipe I made that turned out very gummy, I realized the author used mostly light flours. “Gluten free flours are classified based on their protein content. Heavy flours assist in creating the structure of baked goods, as do medium flours. Light flours aid in binding and moisture retention.” Baking is all about the science so this began to make sense. The light flours didn’t contain enough structure to create a nice texture in my baking. They just made the batter moist and pasty. Armed with this knowledge, I plan to revisit some gluten-free recipes to make sure they follow Bob’s guidelines. I am hoping that with the proper flour weight ratio, I can better adapt recipes for some yummy treats. My gluten-free friends are hungry!